Good Slot Site on The UK Market? Founded by a team of over half a century of experience in the industry, Wunderino has emerged as one of the more adventuristic slot sites. With a colorful design and fun illustrations, Wunderino feels like a fun and easy slot site. It will work well on the on any device and market, despite its slightly German-sounding name which by the way means: Wonder. Wunderino often uses words like travel and adventure as for how to describe its slot site. The bonus offer is often described as a gold adventure, and when we look at the structure of it, we kinda agree as well. In total, therefore, £1000 in bonuses up for grabs! As extra icing on the cake, Wunderino offers 30 free spins (cash spins) available on the slot games Starburst, Lights or Aloha. Should you access to your free spins, open one of the three games and then you will receive a message that lists the available spins. Always nice with a casino who offer free spins with no wagering requirements that allows you to try the game and take out the possible benefits directly. Please note that your cash spins are available after day 1 so that you don’t wait in vain. For customers who come back, Wunderino presents unlimited campaigns where they choose to describe as “galactic” with deposit bonuses for given periods. In addition to above, it is our recommendation to keep a close eye for their weekly email send outs where they present new bonuses and free spins. Like many other new casinos during 2016 Wunderino made it easy for its customers. Signing up is quick and feels smooth where they do not ask any unnecessary questions. Only email, password and address information is needed. Once the first glance slot machines are presented in a classic way and although it is the first time you visit the page feels familiar. The default view for Wunderino slots is the ones they recommend themselves. It is a mix of classic slots, Gonzo’s Quest from NetEnt with several other game developers, including the Play ‘n Go and Yggdrasil. Once logged out or before you register the games can be tested for one’s liking. Wunderino has managed to get to a happy and energetic design. This can be seen even in the menu options for the game in which smiling chips represent table games and a CRT television with retro look represents the live casino. Everything is going very quickly, and all the games are loaded instantly, both in menu choices or when one decide to play. If you choose to download all the games at the same, it is presented clearly on the same page, and despite that, everything loads very quickly. 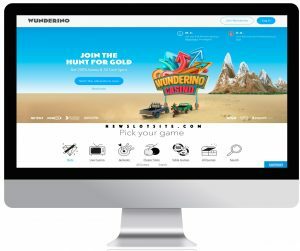 Wunderino doesn’t have an app available just yet, but the people behind this mobile friendly casino compensates with one of the industry’s top mobile sites. It is fully adapted for mobile and slots are presented even better in the mobile and tablet than on desktop. The slots are displayed in the width of two, and if you choose to play a game in landscape mode, you will have the best possible experience. Even the buttons are the right size and speed, combined with the easy to navigate menu options allows Wunderino to be perceived as one of the best choices for those who prefer to play casino slots via smartphone or a tablet. Wunderino is available in English but also in German, Swedish, Norwegian and Finnish and has support for the same. Payment options are many, and you can be sure to find one that suits you best. With a fantastic site and clear answers in their FAQ sections any questions you may have, the answer is just at your fingertips. Their unadorned and simple design reminiscent of several other casinos that have succeeded in Scandinavia, which nowadays is sometimes looked at as a benchmark for a slot site, it is not unreasonable for Wunderino to expand beyond its current markets. We are very excited to see what the future holds for slot site Wunderino! Wunderino feels very relaxed and familiar. When we have been in contact with their support at halloj@wunderino.com, it felt like a family member is taking care of you: rare, unusual and refreshing. 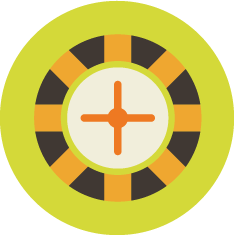 A winning formula for many new casinos has been to make it as easy as possible. Casino players are obviously loyal to the slot sites that are simple, fast and trouble-free. Wunderino certainly feels like a casino that is doing just that!